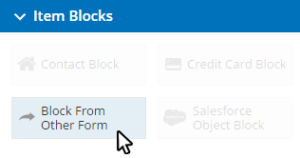 Setting your form items to not-required (or optional) lets you quickly test your form without needing to complete all of the items for a successful submission. Once you’re done testing you can repeat the multi-select process to set them to be required. 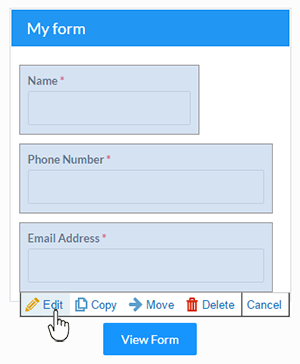 If you want to copy the form style from another form, you can do that in the new form’s Style page by clicking the Copy from form button. This will copy the entire CSS from the source form, making branding and styling your form easy. 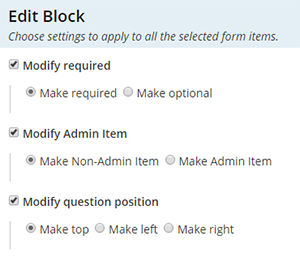 Are you editing a multi-select item on your form (radio button, checkbox, dropdown, etc.) and you can only edit the choices one at a time? STOP: This means you have results for the item. Changing the choices here may change your existing results, too. Do you have any form editor tips you can share? Tell us in the comments!